UPDATE 09/12: details about the handover of the petition tomorrow, Tuesday 10 December, have been added to the end of this article – scroll down! The petition to ‘save our cyclists’ surpassed 36,000 signatures on 5 December — will you add your name too? Incredible! 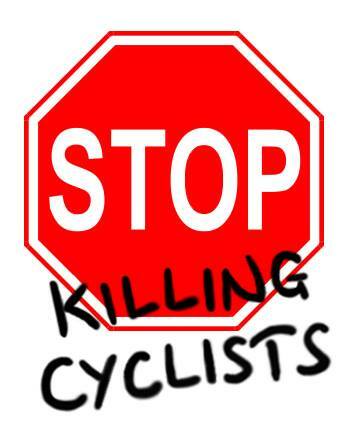 In just three weeks over 35,000 36,000 of us have signed the Save our Cyclists petition and last week over one THOUSAND of us joined the mass Die In outside of Transport for London HQ, making headline news. Next Tuesday, we are going to get on our bikes, cycle down to City Hall, and deliver our petition to the doors of the Mayor and the Cycling Commissioner. With a huge petition, we can show them that we don’t want “panic changes”, we want real change. We are campaigning on this because enough is enough. We know that London can be the cycling city that we want it to be and every signature is a wake up call to Boris and Gilligan. If you get your friends to join us, it shows that we are growing, and we are not going away. When you tweet about the petition, the newspapers report it. When you chat about the campaign to your colleagues, you spread the word. When you share the petition, people sign it. Your actions make a difference. Can you make a difference again and share the petition with your friends and family using the links above? When you sign the petition you become part of a 35,000 strong community. We’ve flooded the media, we’ve attended public meetings, we’ve laid down on the streets of our city. We are changing the way people think about transport in London. We are gaining momentum every day. Now is the time for change. Let’s make it happen. P.S. We will circulate details about the petition hand-in soon, we want you to be involved! For now, keep Tuesday morning free! Next Tuesday, 10th December, at 9:00 am, we are going to hand over our 36,000 strong petition to Cycling Commissioner Andrew Gilligan at City Hall. Come down to City Hall with your bicycles, placards, red flashing lights, tinsel, reindeer antlers and santa hats. Join us for a festive petition hand-in before you pedal off to work. Bring mince pies and your favourite Christmas songs to sing. We’re going to gather from 8:45 am outside City Hall, to meet with Gilligan members of the London Assembly Transport Committee for a short hand-over ceremony at 9:00 am. We will finish promptly, and you can expect to be on your way to work before 9:30am. You’ll see us – we’ll be the ones with bikes and placards, gathered outside City Hall, by the river Thames. We have come far over the last three weeks, and this is the moment we’ve been building up to. 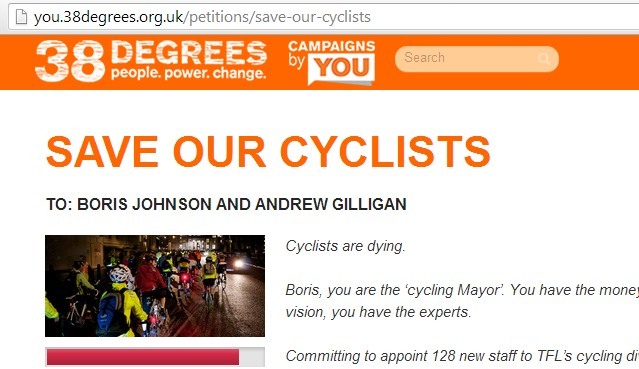 It’s our chance to tell Boris and Gilligan that All We Want For Christmas is…cycle safety. Can you be there with us?